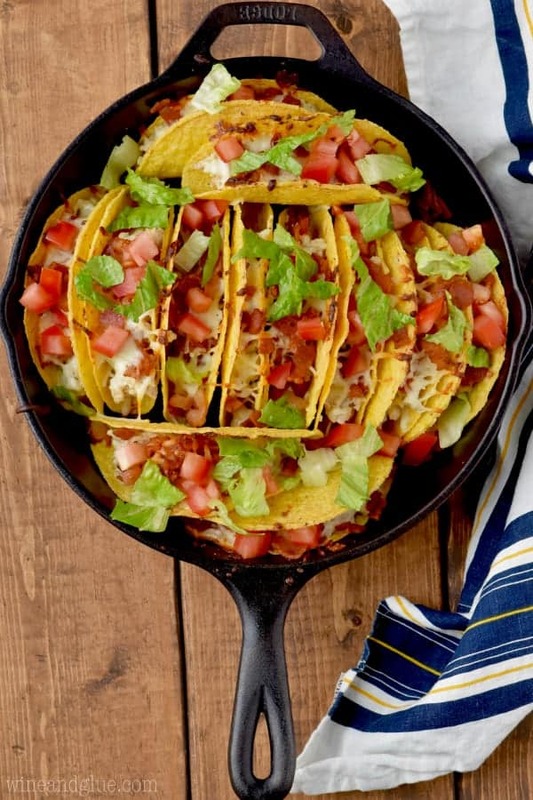 These Creamy BLT Ranch Oven Baked Tacos are the perfect easy dinner when you have had enough of your usual taco bake recipe. 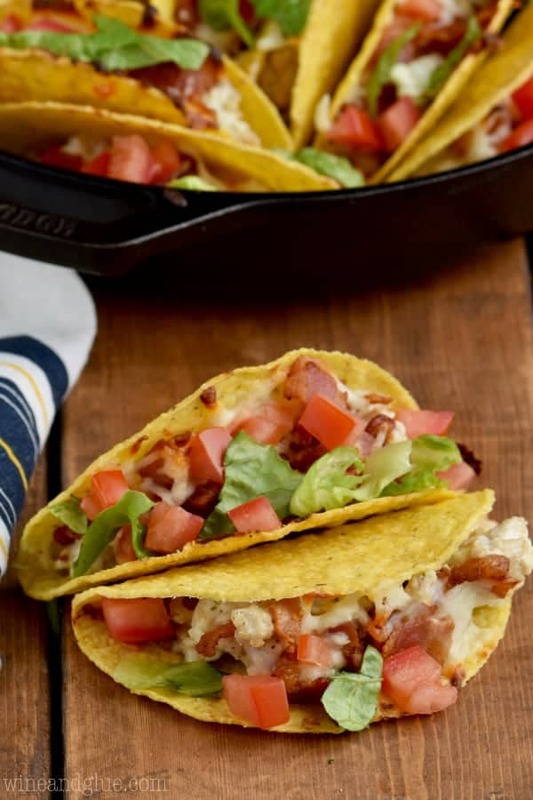 If you love BLT sandwiches and you are addicted to ranch, these oven baked chicken tacos are the perfect dinner for you! Made with ground chicken, cream cheese, bacon, and cheese and then topped with fresh lettuce and tomatoes out of the oven, these are the perfect, tasty dinner you are dreaming of! 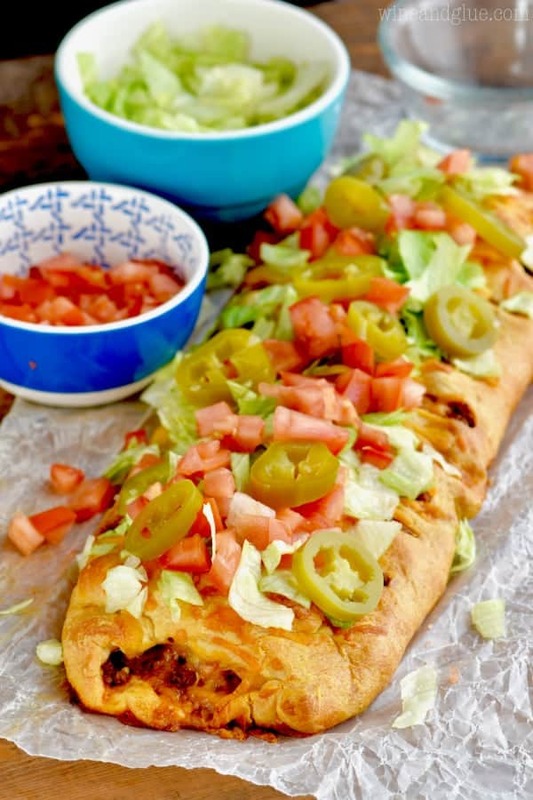 If you make this and your obsession for oven baked tacos rages on, then you can make these Buffalo Baked Tacos. My family is obsessed with Taco Tuesday Night, so we have a million recipes for tacos that aren’t tacos. Some of our favorites are this Taco Pasta Salad, this Taco Braid, and these Taco Stuffed Peppers. You guys know how transitions with kids, are the worst, right? Right? This is just common knowledge? Don’t sit over there acting like you don’t know what I’m talking about. So . . . . we are at this horrible transition phase with Piper. She is done truly needing naps, but at the same time, if we don’t give her a nap she is an unruly beast. Also? You guys, how can I cut out her naps?? When will I work?? I basically need her to take naps until she is 18. I suspect, that like all major problems in life, this napping issue can be solved with tacos. That’s a thing guys – solving problems with tacos. Baked tacos are basically the best dinner ever. 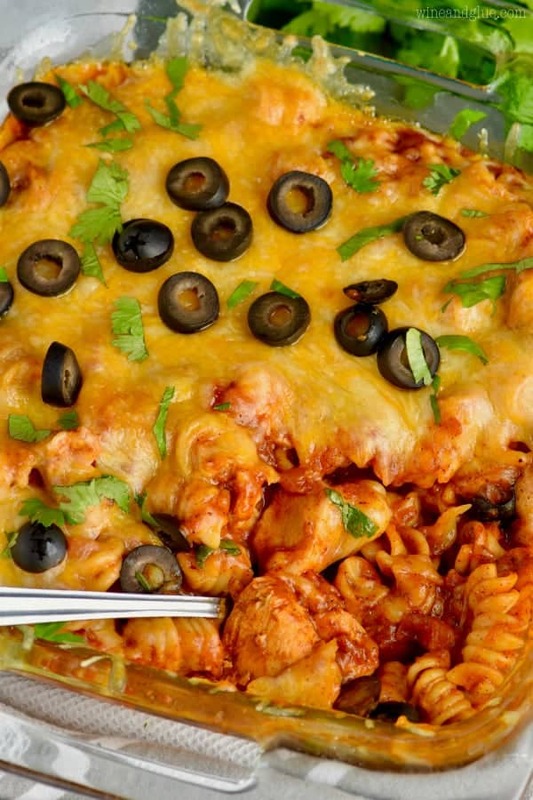 I first saw them when Cookie Rookie shared her Easy Oven Baked Spicy Chicken Tacos. And I was smitten . . . as I sometimes am with food. I get crushes on food. There is no one way to make an oven baked chicken taco, but the basic idea is that you fill a taco to brim with deliciousness and then you smother it with cheese and throw it in the oven. In these Creamy B.L.T. Ranch Oven Baked Tacos I cooked ground chicken with ranch seasoning and cream cheese to make the filling . . . . in a pan that I had just cooked bacon in. #DROOL Then I topped the tacos with mozzarella cheese and the aforementioned bacon and tossed them in the oven. When they come out of the oven, you top them with some lettuce and tomato, making for the L and the T in the B.L.T. Guys, I’m not going to lie. These tacos knocked my socks off. I really wanted to devour all of them before any of the photos had been taken. These are going to be a new family favorite. And if you too are now smitten with baked tacos, let me introduce you to some more friends. These Turkey and Black Bean Baked Tacos look amazing. I am totally in love with these Creamy Seafood Casserole Baked Tacos. And if you want a lighter spin, try on these Healthy Black Bean Baked Tacos! 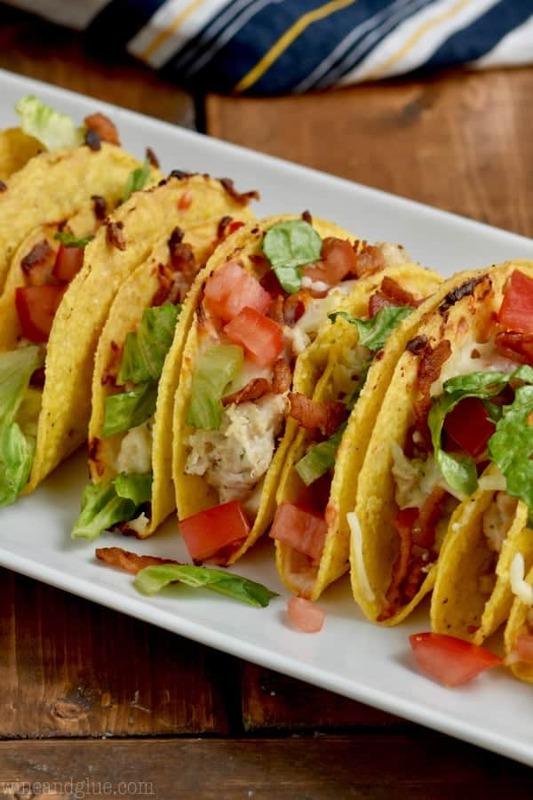 These Creamy BLT Ranch Oven Baked Tacos are the perfect easy dinner when you have had enough of your usual taco bake recipe. In a large skillet, cook the bacon until just crisp and remove from the pan. Drain off all of the bacon fat, but do not clean the pan. Set the pan back over medium heat, and add the ground chicken and the ranch seasoning to the pan. 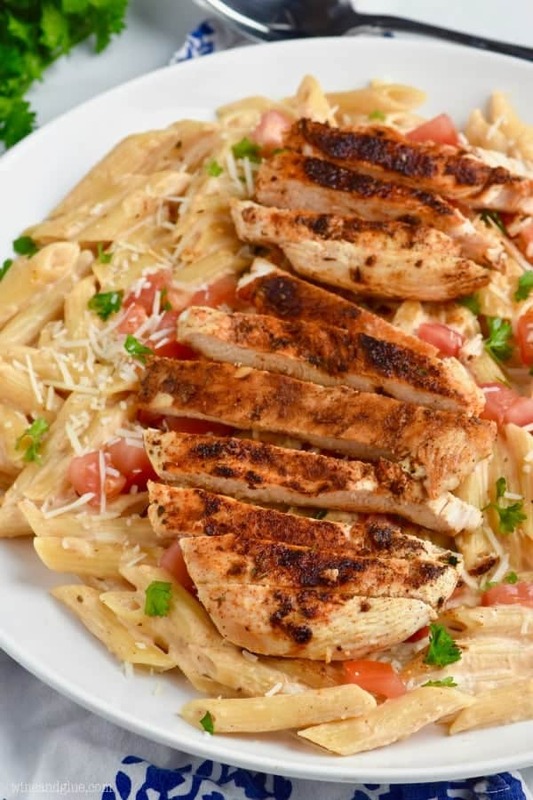 Cook until the chicken is no longer pink. Stir in the cream cheese and stir until it is fully combined. Remove the chicken from the heat. 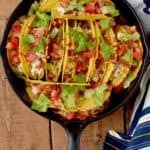 Arrange the 12 hard shell tacos in a 9 by 13 inch baking dish or a cast iron skillet. Divide the chicken ranch mixture between the tacos. Then top each taco with some of the bacon and some of the cheese. Bake the tacos for 20 minutes. 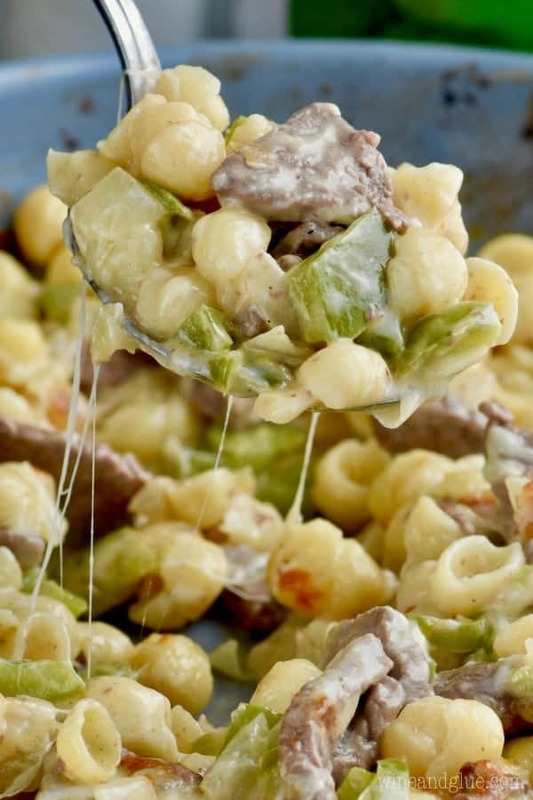 Remove from the oven and top with tomatoes and lettuce. Enjoy immediately. Well these are totally happening at my house this week. My whole family will LOVE these! I hope you made them and loved them! I’ve never had bacon in my tacos but I love love love the idea! Looks amazing!